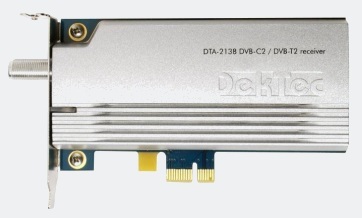 DTA-2138B - DekTec DVB-C2/DVB-T2/ISDB-T Receiver for PCI Express | AdvancedDigital Inc.
2. StreamXpert Lite – Light-weight version of StreamXpert for viewing and recording transport-stream contents, and for decoding audio and video. Flexible configuration allows adaptation of PIDs, services, tables, descriptors, etc.